Image: DC Comics. Art by Mitch Gerads. Tom King’s run on Batman hasn’t been afraid to dive deep into the darkest or weirdest aspects of the Dark Knight’s mythos. But it’s also been unafraid of poking some fun at the more goofy parts of Bat-canon. Case in point, a joke about one of Bruce’s silliest villains that began a year and a half ago, and finally paid off this week, 17 issues later. 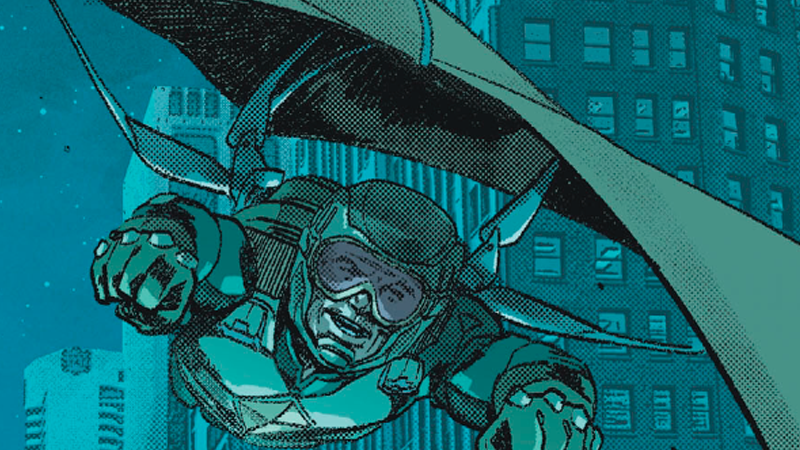 Before this week, Kite Man appeared twice during King’s series. The above, in Batman #6, remains one of the most gloriously random interludes in a comic in recent memory. His next, in Batman #14, is the culmination of a pages-long cavalcade of Batman villain cameos, but even then, Kite Man got to blurt out his one line. This week’s Batman #23, by King, Mitch Gerads, and Clayton Cowles, sees our beloved Kite Man return, but this time, before he can finish his one liner, Kite Man is joined by a friend. Turns out Batman was investigating a murder ultimately committed by someone using one of the kites Kite Man had inadvertently sold off. We never get to see how the world’s finest detective managed to instantly figure out that a murder on the 84th floor of a building could only be committed by someone with access to a kite, or how he linked it all to Kite Man, but honestly, it’s worth it for the Dark Knight to finally encounter the real hero of Tom King’s run on Batman. If anything has to persist in the twisty, turn-y world of comics, I’m glad Kite Man is one of those constants.